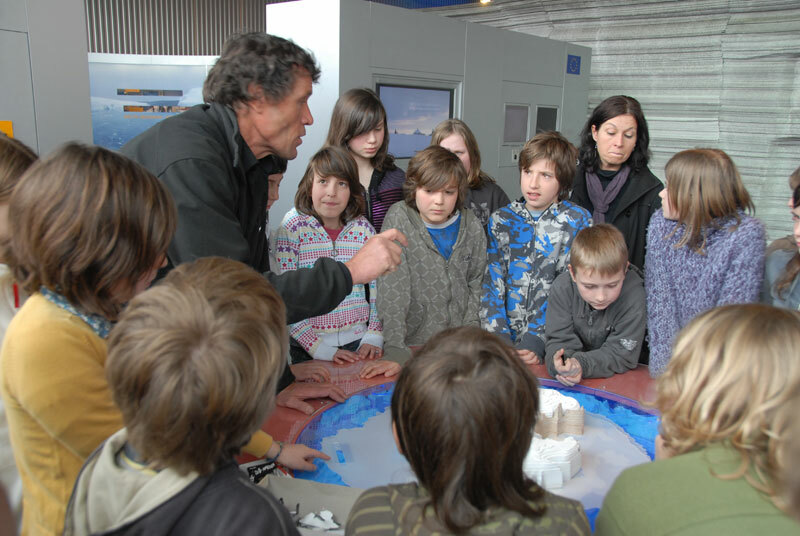 Class Zero Emission (CZE), a pedagogical workshop initiated by the International Polar Foundation (IPF) covering the themes of the Polar Regions and climate change, was officially inaugurated on 25 March 2009 at the IPF in Brussels. Before an audience of two classroom schoolchildren (one French-speaking and one Dutch-speaking), journalists and ministers, Alain Hubert, President and co-Founder of the IPF, underlined how important it was to initiate projects like this in order to educate future generations and get them to understand climate change and its impact on the environment. The objective is to get them to change their habits and adopt a more sustainable way of life. This was backed by Mr Vandenbroucke, Flemish Minister of Education in Belgium, who, in his speech, reminded us how important it was "to leave as little a trace of our presence on earth as possible in order to leave a healthy planet for our children and grand-children." Moreover, CZE answers the teaching community's request for pedagogical material tackling the issues related to climate change. Class Zero Emission will help answer the questions pupils may ask themselves about the environment and any changes it may have to undergo and will teach them how the poles, aside from being a beautiful landscape, are key in scientific studies. Moreover, CZE teaches the pupils which actions they can undertake in order to stop climate change. Finally, a special thanks was given to the Flemish and French-speaking Communities of Belgium, to the project partners, and all the people who contributed to making CZE a reality.